[...] The King said, "The third question is, how many seconds of time are there in eternity." Then said the shepherd boy, "In Lower Pomerania is the Diamond Mountain, which is two miles and a half high, two miles and a half wide, and two miles and a half in depth; every hundred years a little bird comes and sharpens its beak on it, and when the whole mountain is worn away by this, then the first second of eternity will be over." I wondered then how one could be part of eternity? 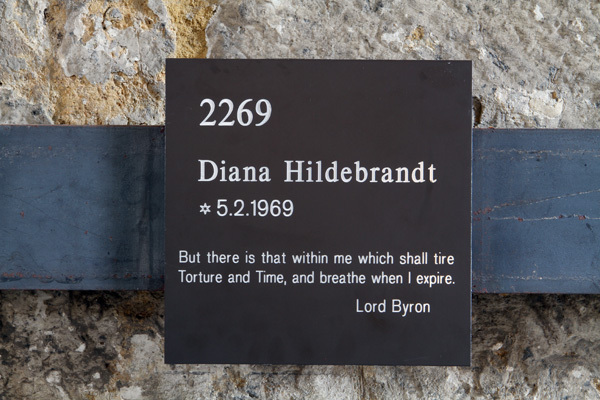 Some years ago I heard of the John Cage project in Halberstadt. They wanted to play John Cage's Organ²/ASLSP according to his direction as slow as possible. But how slow is slow? The first modern organ was crafted in Halberstadt in 1361, 639 years before the turn of the millennium. So the founders of the project decided that the last note of Organ²/ASLSP shall be heard in 2639. 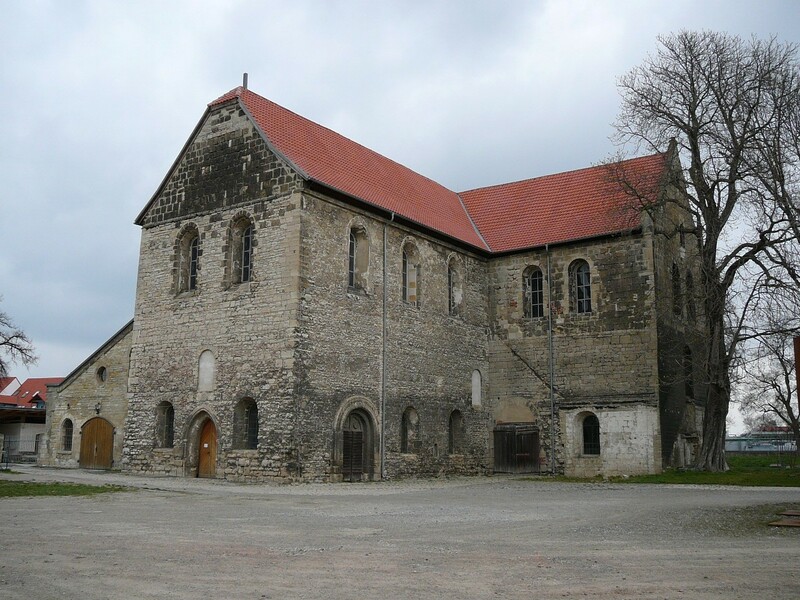 Last year I visited St. Burchardi in Halberstadt. It was in poor condition, almost hidden between fallow and derelict walls. Crossing the square you could hear the sonorous tone of the organ inside the building, like the reverberation of time itself . Inside I noticed small slates with inscriptions along the walls. Most have names and dates inscribed, some motti. The slates belong to the benefactors of the project. I decided to be part of this by donating a year. My tone will be played exactly 300 years after my birth. This is my notch in the diamond mountain. Doch alle Lust will Ewigkeit"
so ist das andere der Augenblick, dem man Bleiben wünscht. Lust ist - und gerade deshalb Lust ist?